DAVID LE/Staff photo. 3/5/15. 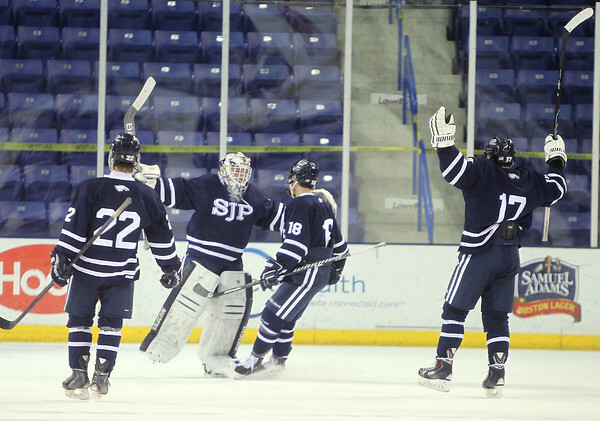 The St. John's Prep Eagles rush to greet junior goalie Kyle Martin after they defeated BC High 5-2 on Friday evening.